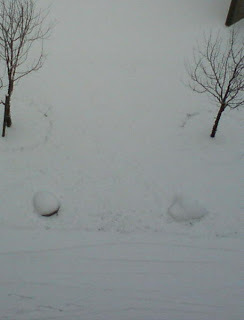 All The World's A Fomite: The snow finally stuck! We've been getting some snowfall the past few nights, but it always melted by morning. This is what greeted me when I looked out the window today.